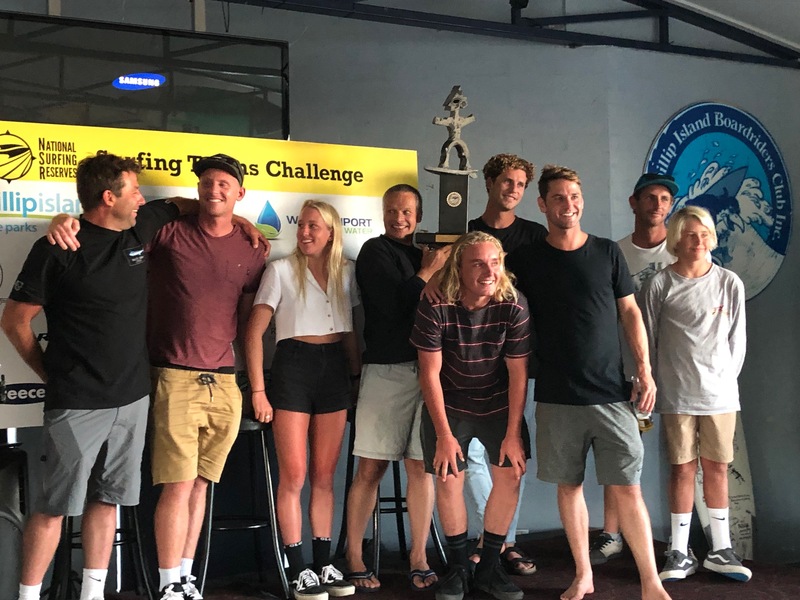 Team Crushers captained by Nick Fostin has won the sixth Phillip Island National Surfing Reserve Teams Challenge and Dave Fincher Memorial Trophy at the event held on Saturday 23 February 2019. 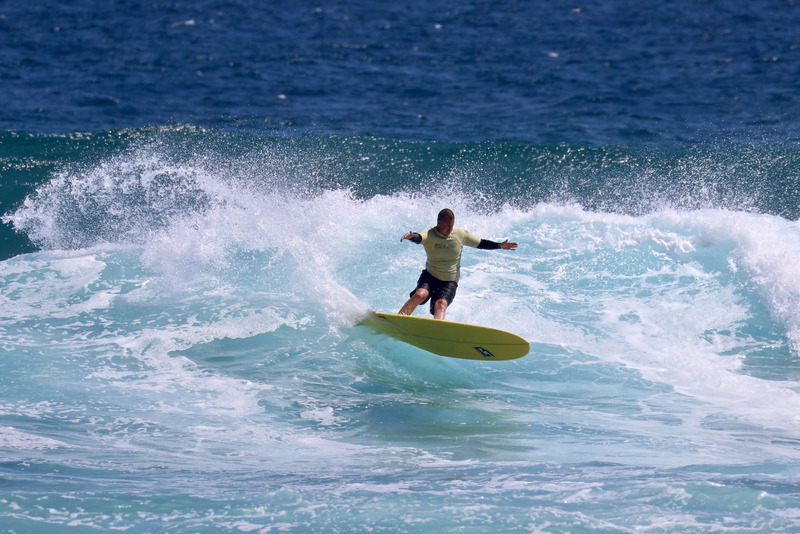 Glorious weather and the majestic backdrop of Cape Woolamai surrounded all of the surfing action as nine teams battled it out. The classic Woolamai conditions were challenging at the start of the comp but improved on the rising tide. “For six years we’ve been chipping away at this title,” said Nick Fostin as he accepted the Dave Fincher Trophy, presented by Dave’s daughter Michelle. Event Organiser Geoff Owens made the call to hold the comp at Anzacs at 7am. Surfers gathered for a briefing, followed by a moving Welcome To Country and Smoking Ceremony from Boon wurrung Community member Steve Parker. Gutsy grommets (surfers aged 14 and under), Malibu riders and surfers of all ages took turns to paddle out to battle for their position in the final. “We were blessed with a sunny day and reasonable surfing conditions, which made it a lot more enjoyable and justified our decision to move the comp date to earlier in the year,” said Geoff. 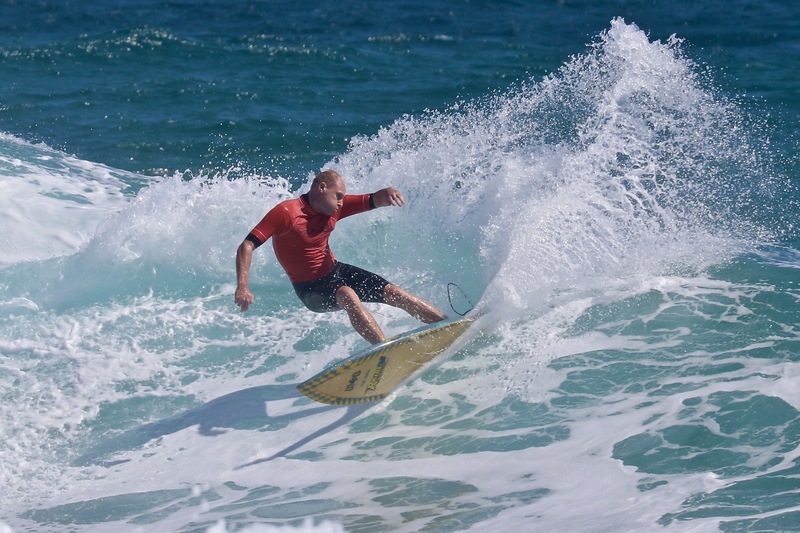 Community spirit was high all day, culminating in an exciting final where surfers showed off their best moves in high tide conditions that only Woolamai can provide. Supporters gathered on the beach and lookouts to watch all of the action and displays of skill, courage and sometimes comedy. In the end it all came down skill and teamwork as Team Crushers cruised through the final heat with minutes to spare. Island, captained by Sandy Ryan took out second prize and third prize was won by Newhaven College’s Spoonbills captained by Andy Neal. Woolamai Hards lead by Geoff Owens came in fourth place and the Penguins, captained by Andre Chiaradia made it into the final for the first time and secured fifth place. Sixth place went to Dylan Matthews’ team, Into 3000. There was a wide range of prizes and awards given out at the presentation ceremony at the Phillip Island Boaardriders Club supported by event sponsors: Phillip Island Nature Parks, Bass Coast Shire Council, Westernport Water, Phillip Island RSL, Newhaven College, Karoon Gas, The Cape Kitchen, Full Circle, Ramada Resort, Rip Curl/Islantis, Full Circle, Island Surfboards, San Remo IGA, Pro Surf Coaching, Reece and Woolamai Beach Surf Life Saving Club. Highlights of the award ceremony included the Phillip Island RSL Team Spirit Award, presented to Sam Guzzardi and his No Veggies team for the second year running. Lannia Fostin, from Team Crushers shone on the day and was awarded Island Surfboards’ - Best Performance by a Non-Sponsored Surfer Award – receiving a custom made board from Island. Lannia also won the Ramada Resort Award for Outstanding Performance by a Female Surfer. A new award category - Best Super Grommet, sponsored By Newhaven College, was awarded to Oliver Van Venroy from the Into 3000 team. 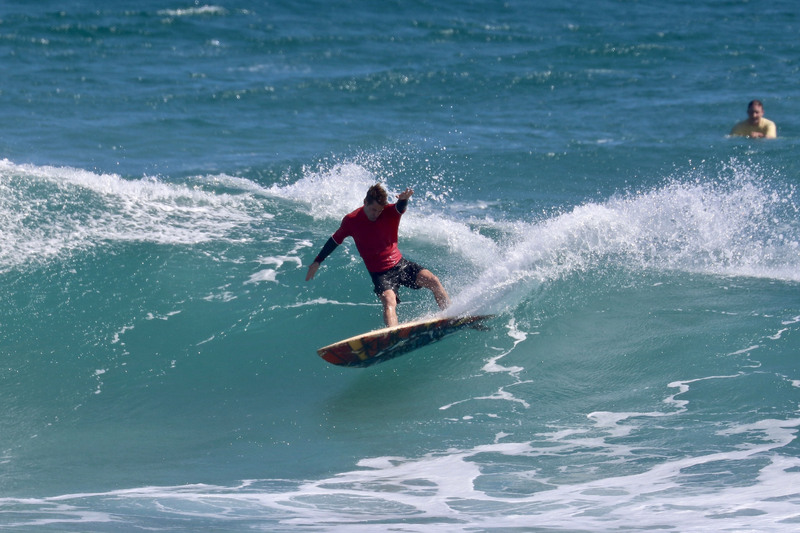 In another double whammy, Glyndyn Ringrose from Spoonbills won both the Ramada Resort Outstanding Performance by a Male Surfer and Rip Curl Islantis Highest Scoring Wave. “It’s so great to see our community come together as surfers - I applaud all of you guys,” said Glyndyn as he accepted the award. “It was once again a great day, full of team spirit and reflecting what Phillip Island National Surfing Reserve is all about. We are looking forward to next year’s event,” said Event Organiser Geoff Owens.